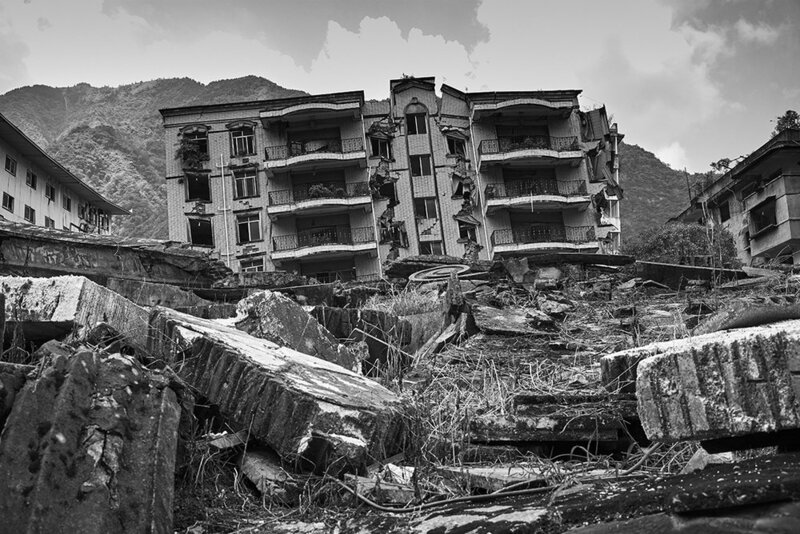 As part of my seven day travelogue in China, one of the places I wanted to visit was Beichuan. Beichuan lies in the beautifully scenic hills approximately two hours drive North of Chengdu, with the drive reminding me of my visits to the Austrian Alps and the Canadian Rockies. On arrival with my guide I was simply stunned at what I witnessed. 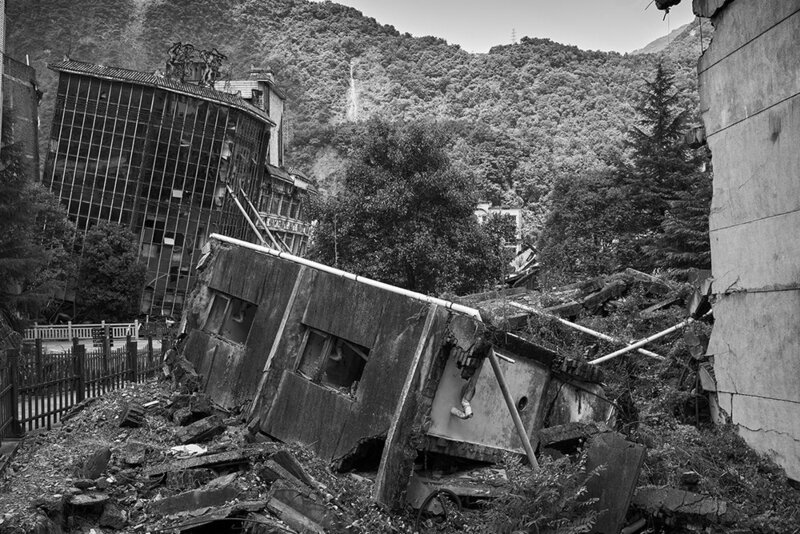 A town that had once been full of life, had not only been reduced to mangled heaps of concrete mirroring the shapes of the surrounding hills, not only had its architecture twisted and distorted, but had been kept, preserved and turned into one large memorial site by the Chinese Authorities. 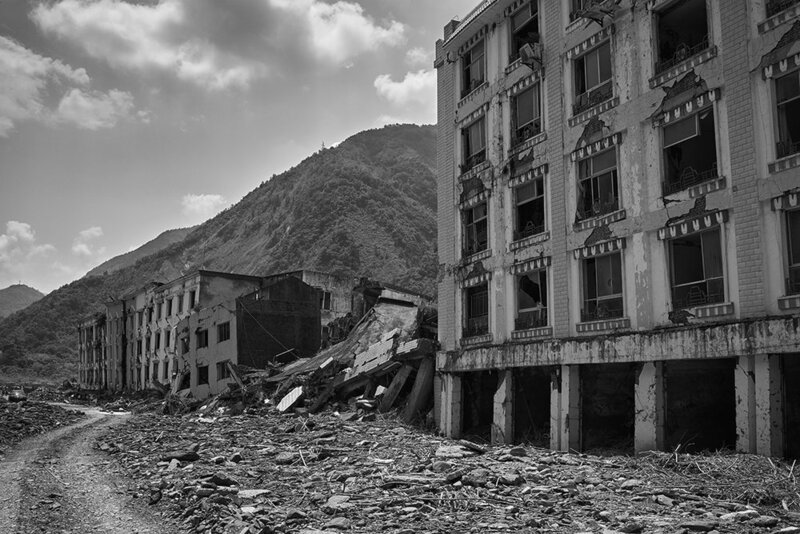 The 2008 Sichuan Earthquake recorded a magnitude of 7.8, it lasted only two minutes at approximately 2.30pm, left 87500 people confirmed dead, injured 375000, left 18000 missing and caused approximately $150 billion USD of damage. 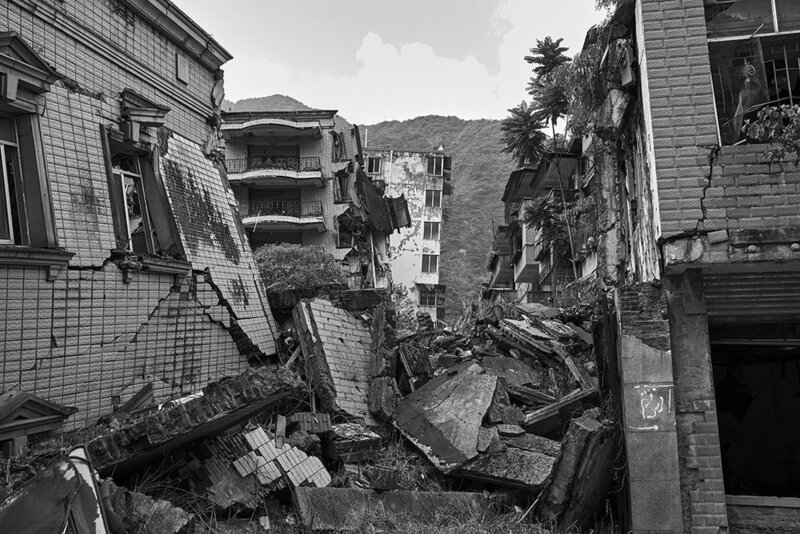 Beichuan was just one of many towns and cities affected, the death toll in Beichuan stands at approximately 5000. There was an eerie stillness about the town, I observed less than ten other visitors and only one ‘member of staff’ who was selling sunflowers that could be laid at a memorial. 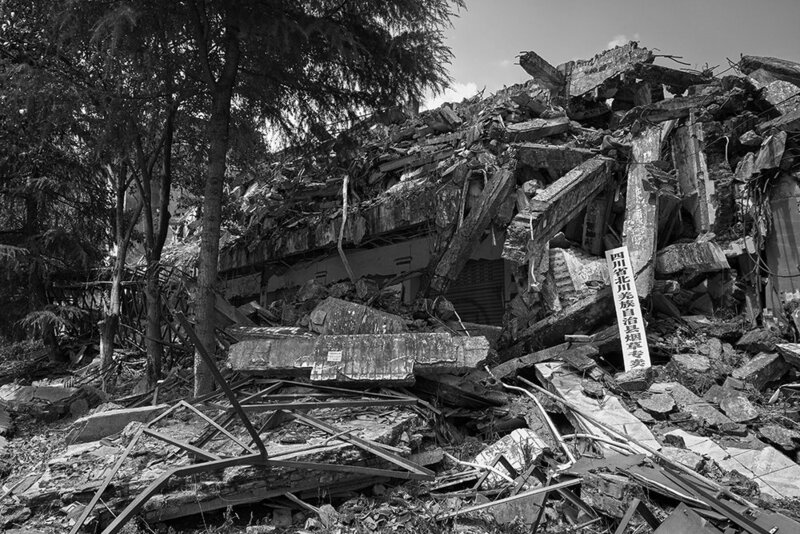 The devastation was intense and naturally emotional to experience, display boards showing portraits of the members of the local police force as well as the same for office and factory workers who all lost their lives. 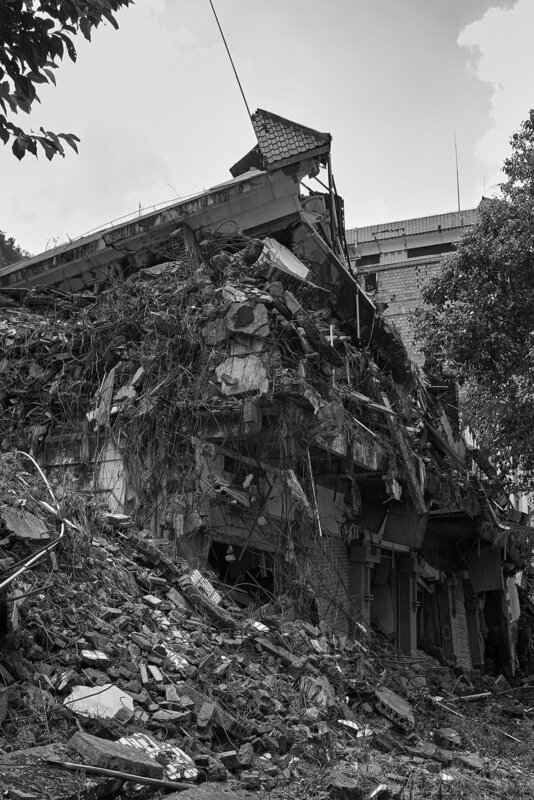 The shattered white ceramic tiled apartments, the toppled steel and glass public buildings, and even crushed vehicles were all on display to bear witness to the tragedy.